Another great idea for the children. 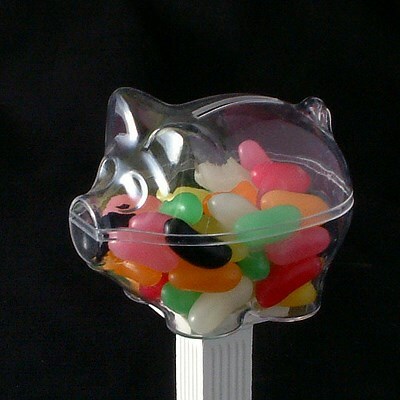 A clear plastic reusable shape with either Mini Eggs or Jelly Beans. You also have a choice of ribbon colour. (Sweets are supplied in 100g clear bags).